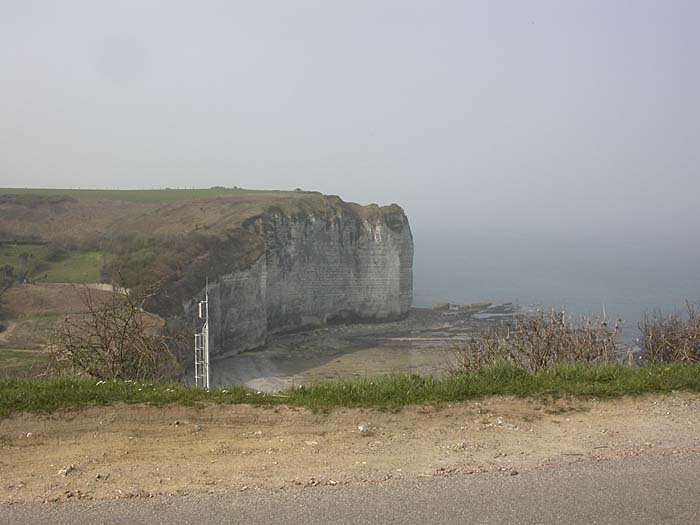 We would have been happy to make Yport our Normandy "home" rather than Étretat, but the two hotels there are seasonal and were not yet open. We made it a point to drive the scary road from Étretat back to Yport, however, to have an excellent lunch, and then to go on a ten-kilometre hike through the countryside--a walk that took us along country roads, through a couple villages, across farmers' fields, along the high cliffs above the sea, and past ponds, tractor-following seagulls, amorous cattle, and beautiful country villas. The beach and harbor of Yport are very much like Étretat's, though Yport's falaise does not include the stunning "elephant-trunk" arch that brands the Étretat harbor. On balance, however, we liked Yport quite as much as Étretat, and we know of no walking trails in that area to equal the ones around Yport.